Each of us must take responsibility for our own joy. “The deeper, more genuine experience of happiness is the natural state of our Being when we are not so caught up in our self-centered thoughts and emotions. Ask yourself: Am I truly happy right now? Ego-driven happiness is based upon attachment to an outcome. The mind sets a goal or expresses a desire which sparks movement on one’s journey. The goal’s only purpose is to create new experiences which will facilitate awakening; however, only the mind attaches, the goal becomes the motivating factor which determines whether or not life is perceived as enjoyable. Picture someone who is suffering. Is it not because something didn’t turn out as planned? The spouse leaves, the lucrative job slips away, children make their own mistakes, health challenges arise… The antidote is acceptance. Acceptance is not dependent upon whether or not we like something, it is a state of mind and a way of being. 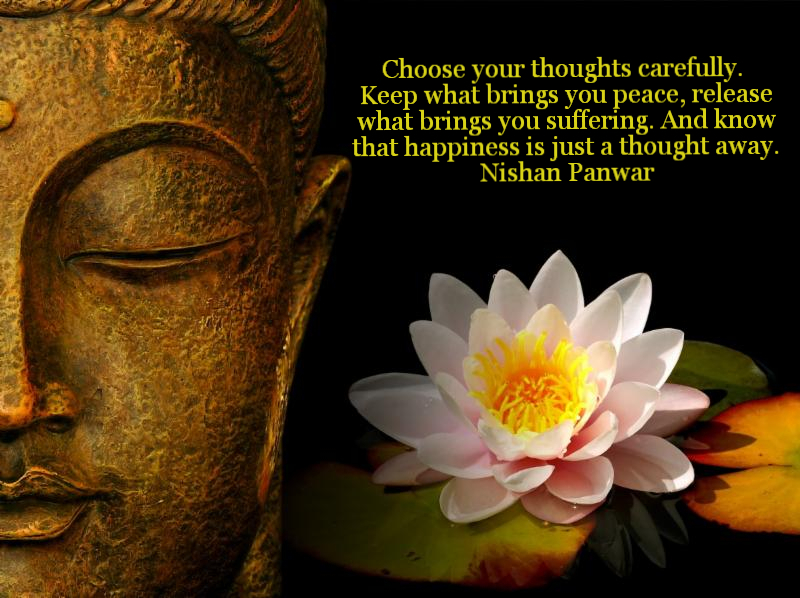 When you make the choice to be happy, you’ll begin to discover how important your thoughts are. Utilize the three questions provided above to bring yourself present. Each question has the zen-like ability to take you deeper into the Now, to tap into your own light and potential. Enjoy your dreams and goals but do not attach to them. Begin with the realization that any perceived blockages are actually vital aspects of your growth and ultimately will lead you to discover the true joy of being. Today my intention is to remember that true contentment comes from within.